Family and community are at the core of the agriculture industry. It’s for this reason, we are so proud to highlight the success of our yearly community giving campaign in Canada. Family and community are at the core of the agriculture industry. Many farms, and large agricultural organizations, are owned and run by families or have created an extended family through their employee network and community involvement. Through many years of growth, and expansion into an international business, Hendrix Genetics still prides itself as a family owned company with strong roots in the local communities where employees live and work. It’s for this reason, we are so proud to highlight the success of our yearly community giving campaign in Canada. Now in the second year with partners Food and Friends and Nutrition for Learning, Hendrix Genetics continues to support two local programs that are committed to giving school-aged kids access to healthy food. The outpouring of support from employees, contract partners and corporate fund matches equalled financial pledges of $77 000 (CAD). In addition to financial pledges Hendrix Genetics has taken part in volunteer events with both partners. 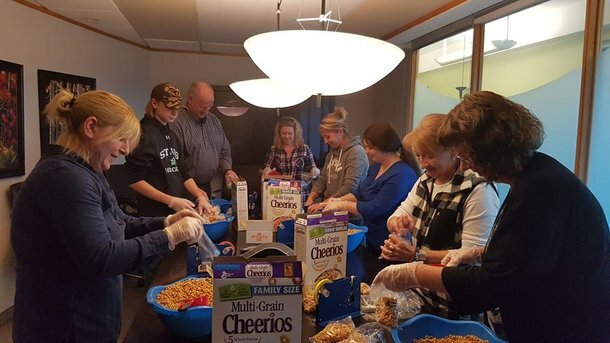 In November, 13 volunteers from farm and office locations in Ontario, Canada, came together with Nutrition for Learning to prepare individual snacks for schools in the community. The snacks created were used for ‘bin programs’ that offer school children free access to healthy food throughout the day at school. 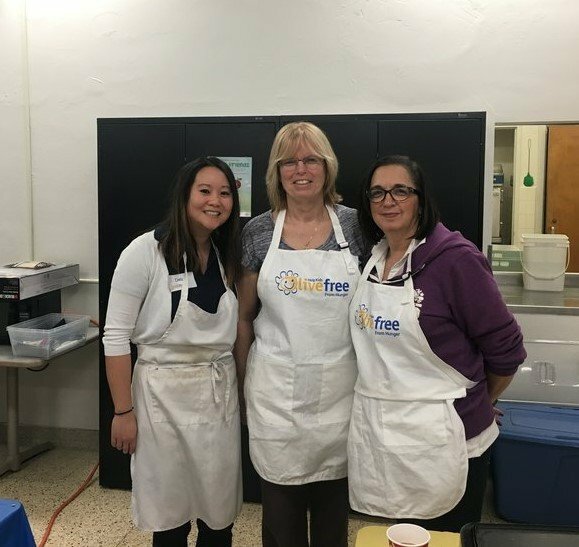 In February Hendrix Genetics representatives had the honour of joining the team at Food and Friends to kick off their Live Free campaign at 2 local schools. 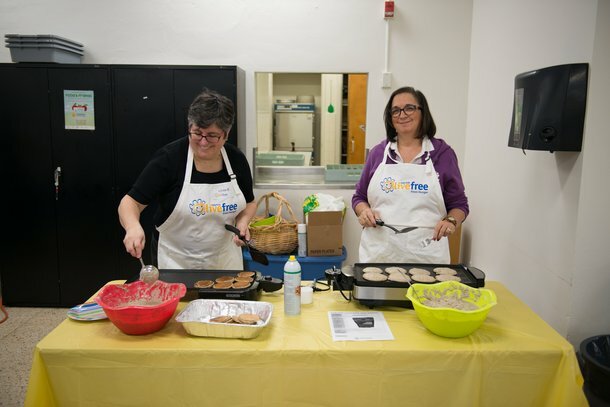 The events were community breakfasts, held in an elementary and a post secondary school environment. Students, teachers, families, local businesses and the general community were invited to join this free breakfast. 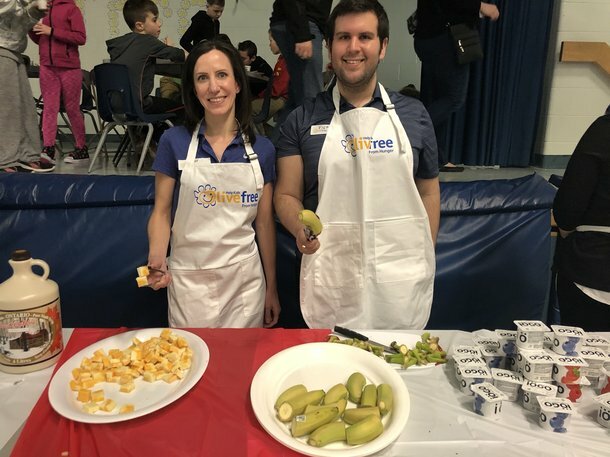 It was a great chance to serve the local community and to help promote a valuable fundraising campaign which raised almost $60 000 (CAD) for programs in the local schools. In Canada the statistics show that approximately 1 in 8 households struggle to put food on the table. Nutrition for Learning and Food and Friends allow the team at Hendrix Genetics to help combat this issue by making healthy food accessible to families. 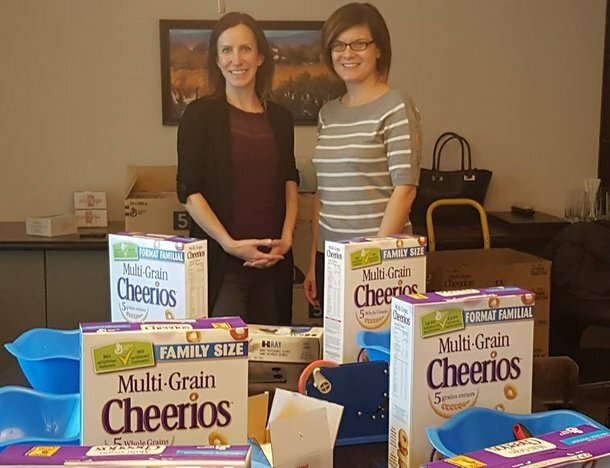 We want to highlight and thank the employees and contract partners who generously donated their time and money to support these partners and the local communities.